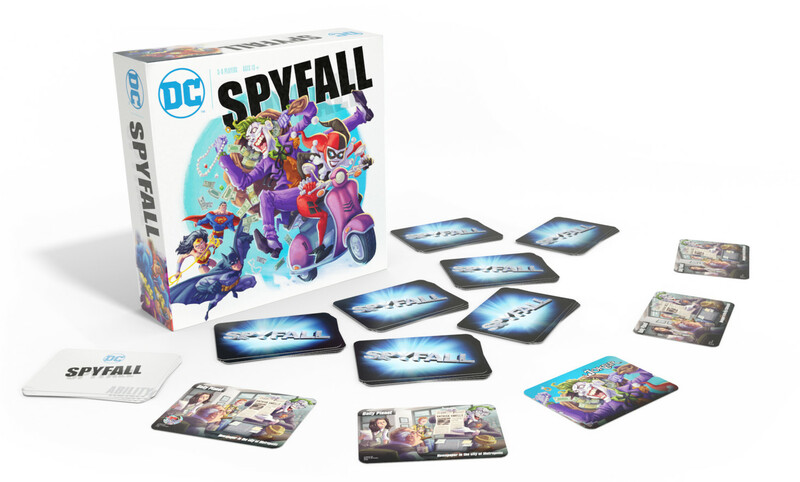 Cryptozoic Entertainment announced the release of the DC Comics Spyfall board game. 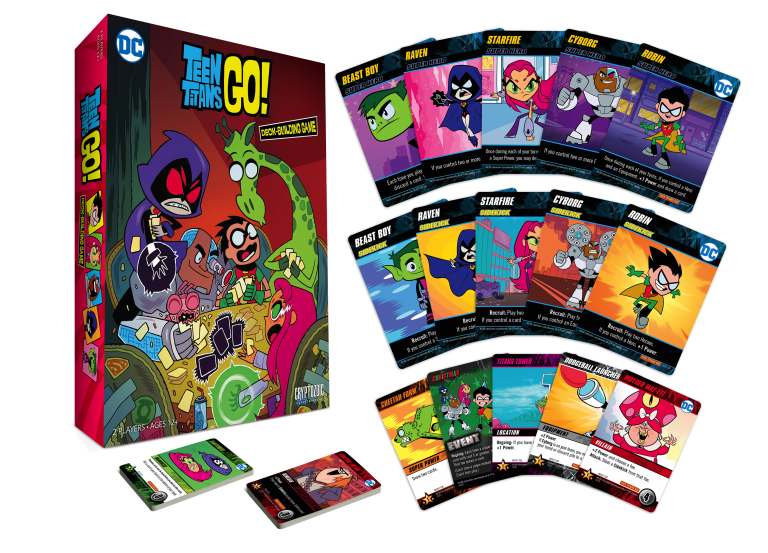 Cryptozoic Entertainment announced the November 29 release of Teen Titans Go! Deck-Building Game. In this two-player game based on the popular TV show Teen Titans Go!, each player becomes a member of the team—Robin, Starfire, Cyborg, Beast Boy, or Raven—and engages in a friendly competition to take down DC Super-Villains such as Blackfire and the H.I.V.E. Five. Each player starts with one DC Super Hero, but is able to recruit “Sidekicks,” other Titans who can help the player. Each DC Super Hero has a Sidekick version on the back with information on how to recruit it. Teen Titans Go! Deck-Building Game will be available at retailers nationwide November 29 for a suggested retail price of $25. The game utilizes Cryptozoic’s popular Cerberus Engine, meaning it can be combined with other Cerberus deck-building games to expand game play. WizKids has announced that Wonder Woman comes to the HeroClix tabletop along with her trusted allies and troublesome enemies! 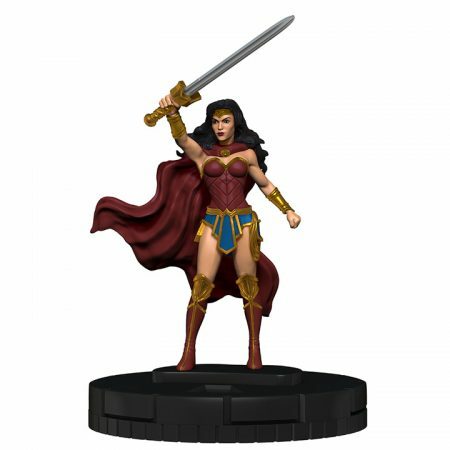 For the first time ever, DC’s Amazon Warrior Princess headlines her own HeroClix set! Deflect bullets, extract truth, and KO your enemies with the DC Comics HeroClix: Wonder Woman Gravity Feed! With an impulse-friendly price point, single-figure foil packs are a great purchase for new and established players alike! 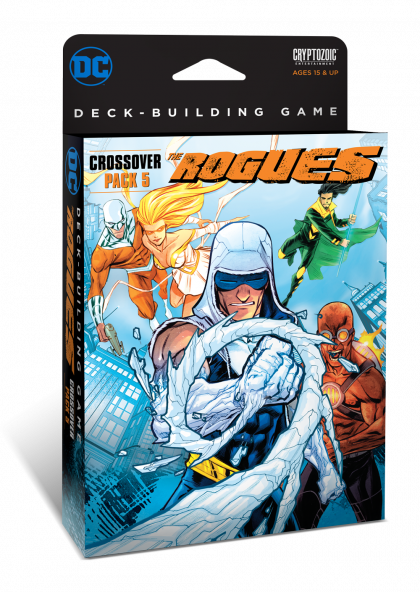 Speaking of action, every Rogues card in the set immediately grants you Victory Point tokens when acquired. These VP tokens will come in handy during the game. After all, it takes money to make money . 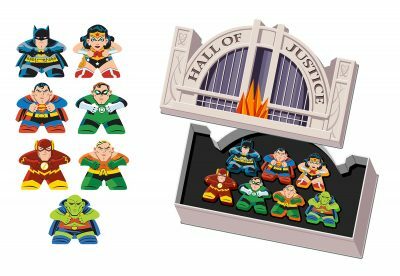 . .
Cryptozoic Entertainment and Warner Bros. Consumer Products, on behalf of DC Entertainment, announce the release of the Mighty Meeples: DC Justice League Collection Tin. The tin resembles the Hall of Justice, the iconic home of the Justice League, and provides a stylish home for the seven included Mighty Meeples figures, all depicting members of DC’s Justice League. The 1-inch wooden figures can be collected for display or can replace pieces in any board game to upgrade the experience. DC Comics Series 1 Mighty Meeples have arrived! 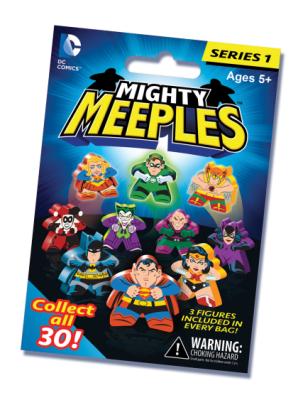 Cryptozoic Entertainment, leading creator of board games, trading cards, and collectibles, and Warner Bros. Consumer Products, on behalf of DC Entertainment, announce the release of Mighty Meeples: DC Series 1. The thirty 1-inch wooden figures depict popular DC characters and can be collected for display or can replace pieces in any board game to upgrade the experience. Alarm bells sound, but you don’t care: You keep piling wads of cash from the bank vault into your moneybag. Just a little more . . . The World’s Greatest Detective surely won’t arrive any time soon. 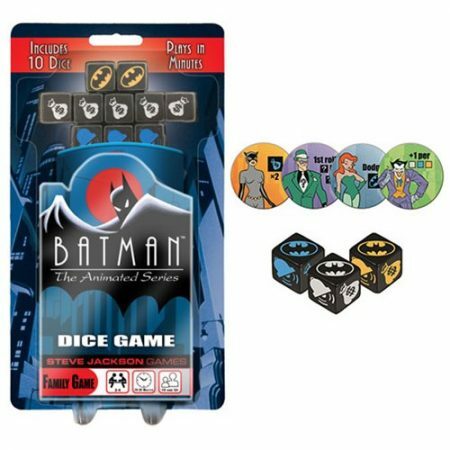 In Batman: The Animated Series Dice Game from Cryptozoic Entertainment and Steve Jackson Games, players attempt massive bank heists as classic Batman Super-Villains like The Joker, The Riddler, Catwoman, and Poison Ivy. How much loot can you grab before the alarm bells summon the Caped Crusader? You can find it at your nearest local game store or select Hot Topic locations now! This release comes from SJ Games and Cryptozoic Entertainment, in partnership with DC Comics, and it’s based on Batman: The Animated Series. Roll and then re-roll the dice in this push-your-luck game – you want to roll moneybags, but you don’t want to roll Batman symbols. You are a criminal, after all! The evildoer with the most loot gets away; the Bat gets to the rest of ’em. Each villain has a unique and diabolical ability. Customize your first roll as The Riddler, gain extra points as The Joker, grab more loot as Catwoman, or cleverly dodge Batman as Poison Ivy. So if you plan to pick up this game, rest assured: Your evil plan is foolproof.